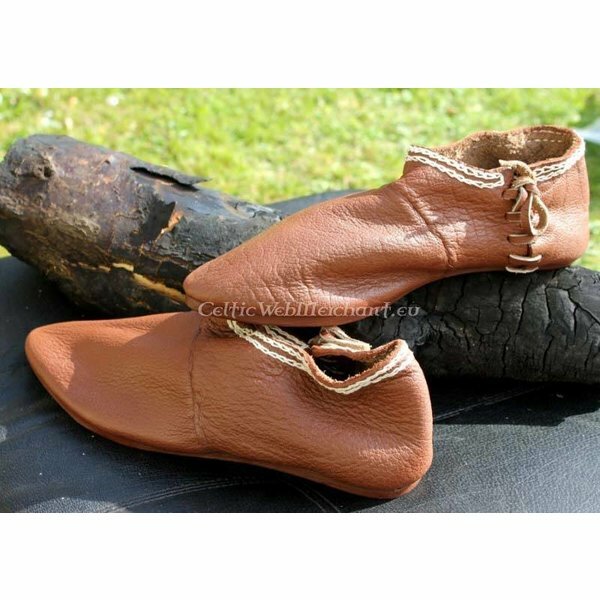 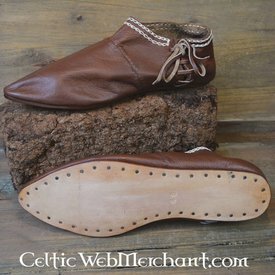 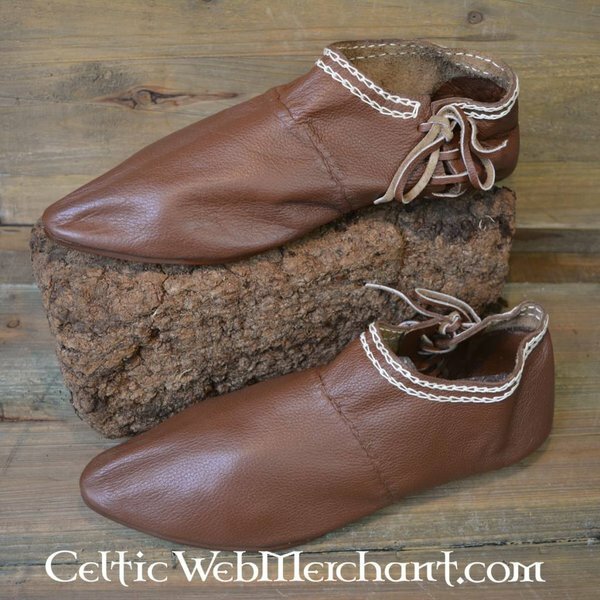 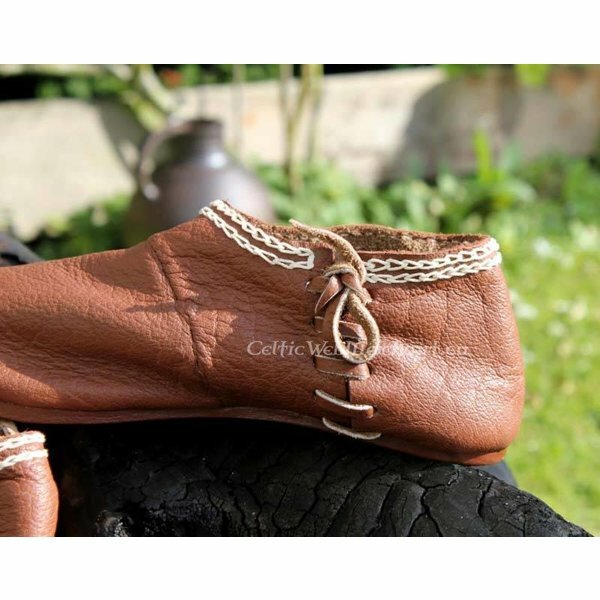 This type of shoes was a direct development from early medieval shoes. 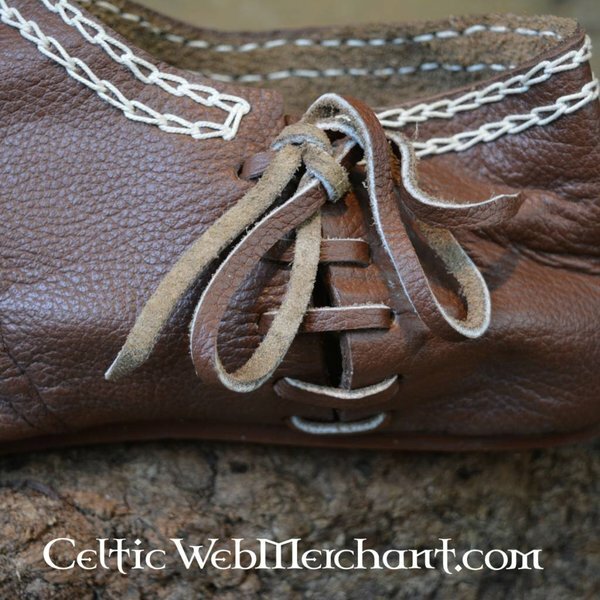 They were worn from the 2nd half of the 12th century by Normans and late Franks and also in Scandinavia and Italy. 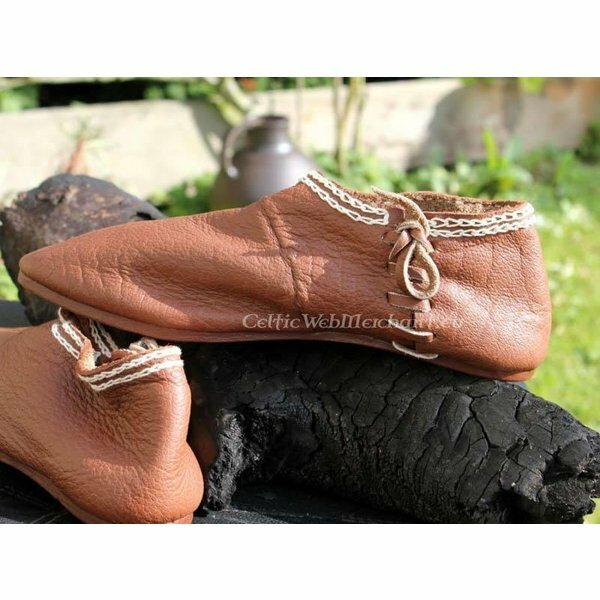 The shoes are made of a high quality leather and have a firm sole.